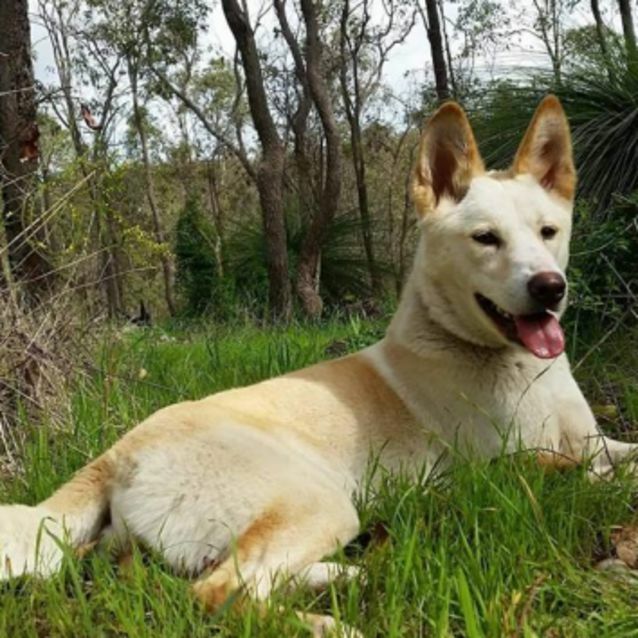 Hi my name is Tokai and I'm one of the smartest dingoes you will ever meet. I know how to sit, lie down and I'm working on how to shake your hand! I'm also pawsome at walking on the leash and rarely pull, except when I'm really excited. I lovvvve walks and would make a great bush walking or hiking buddy. I'm also confident walking in more built up urban environments. 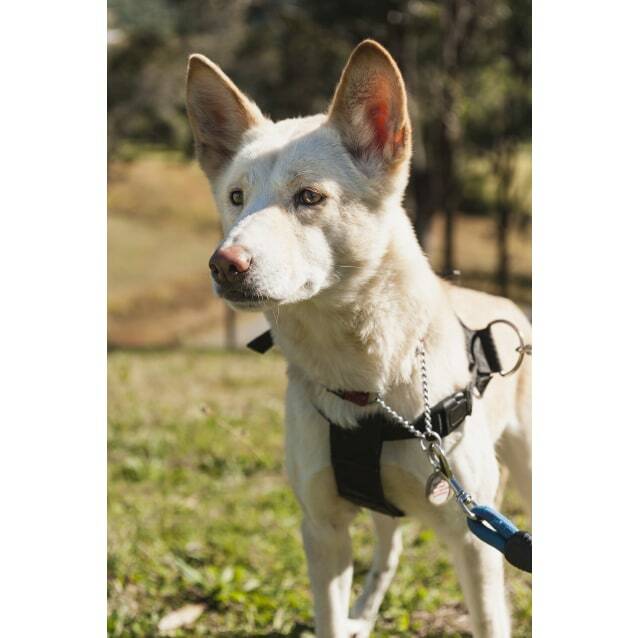 I like some other dogs and dingoes, but I can be a bit discerning in my choice of friends, so if you have another canine companion we'd need to have a meet and greet and see if I want to be their friend. A young male canine buddy would be best. 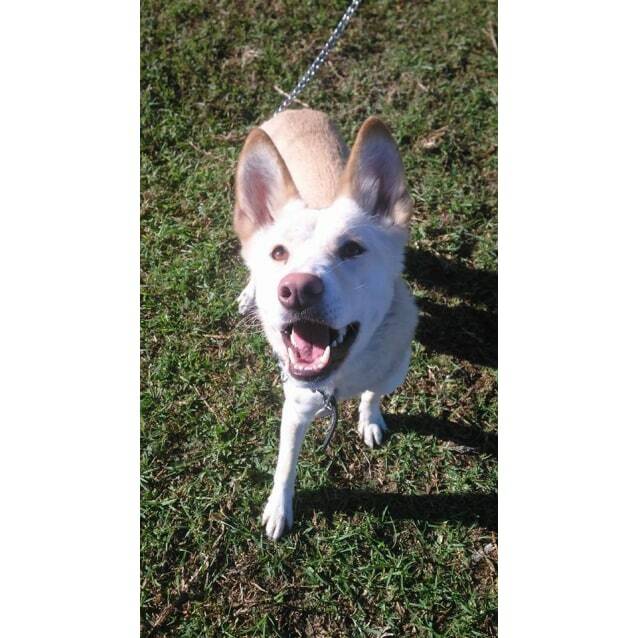 Currently I have a friend at the shelter called Frosty, he's 1 yo and we get on great! I prefer adults and older kids and a home without birds, cats or pocket pets would be best. 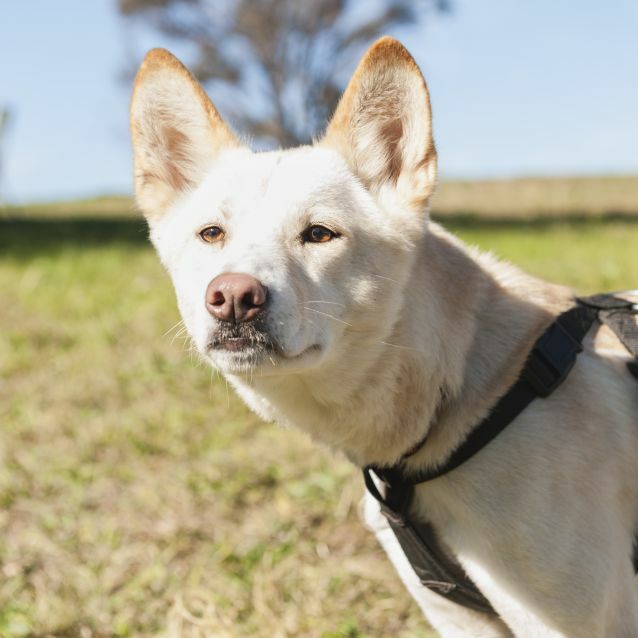 Sydney Fox Rescue are able to provide advice on dingo proofing for your existing yard and most yards can be modified for between $200-500 depending on the size of the yard. We can also provide and install 6m x 6m dingo enclosures for $500. 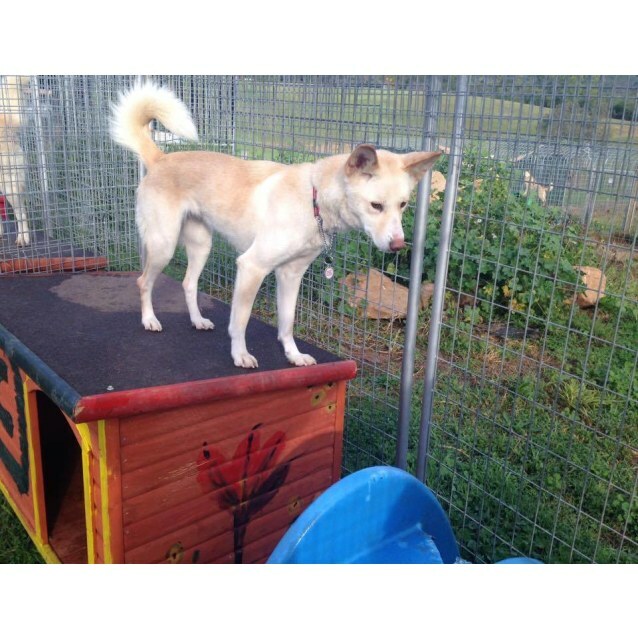 Please note SFR do not rehome dingoes to homes without a dog enclosure or modified dog fence like the one described above.